Leaving Montreal before the giant snowstorm and -30C cold. Let me start by saying that the reports about wait times for airport security due to the US government shutdown have been overblown. We were done with the TSA in about 5 minutes each time, and that's including on a federal holiday (!). Having been multiple times to PAX South, we have a tradition now in San Antonio. Once our booth is set up at the convention center, we have to go stuff ourselves with meat at Fogo de Chao. The lamb is always tender and delicious (that's pretty much the only thing our co-founder, Atul, eats there)! And when we are full, we burn off a few calories by taking a stroll on the Riverwalk towards The Original Mexican Restaurant and meet up with fellow developers from Quebec for a few drinks. I recommend having the Black Volcano there. the board game Churrascaria: A Cutthroat Game of Gluttony. 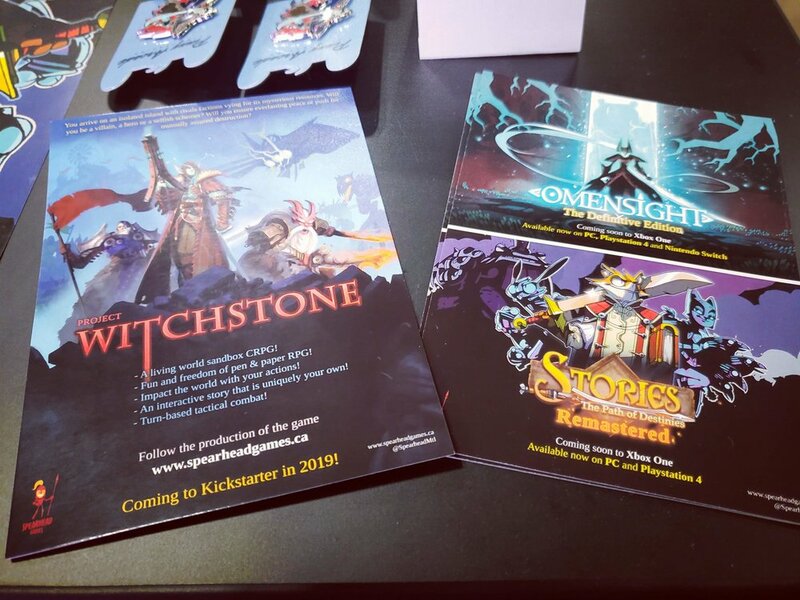 We showed off our upcoming sandbox RPG, Project Witchstone, for the first time at the convention. And the reception was great! We can’t wait to show people more at PAX East. On Sunday, to properly celebrate the end of PAX, our friends and co-founders of Albino Moose Games, Sheena and Travis, brought us to a great restaurant called Mi Tierra. If you want excellent Tex-Mex and margaritas, this place is a must-go! And the decor is amazing! As it turned out, Sunday was also the night of the Super Blood Wolf Moon, so I couldn't miss the opportunity to snap a few pictures! PAX South couldn’t have come at a better time this year! While we were down south, Montreal got 2 feet of snow and experiencing frostbite-level cold. But when we came back, the snow was already cleared and the weather was returning to normal.